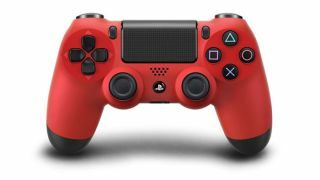 The PS4's DualShock 4 game controller will be compatible with Microsoft Windows PCs, at least for 'basic functions,' a senior Sony official confirmed on Saturday. Responding to a Twitter question, Shuhei Yoshida, President of Worldwide Studios for Sony Computer Entertainment Shuhei Yoshida confirmed the cross-compatibility. From his personal Twitter account, Yoshida wrote: "The analog sticks and buttons will work just fine." When the original poster followed up by asking whether the compatibility would be built in by default, Yoshida responded: "For basic functions, yes." The second answer will prompt speculation that Sony will enable PC users to utilise the next-gen DualShock 4 controller as a full-on gaming tool. Yoshida said folks would need to wait for a "post-launch field report" to find out whether Windows would automatically recognise the DualShock 4 as a controller. The DualShock 3 does not.